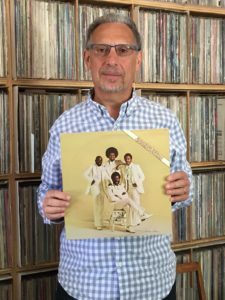 Today’s SotW is another installment in my “Rare Record Series.” It is “I’ve Found Someone of My Own” from the self-titled soul classic by Smoked Sugar. Smoked Sugar was a 70’s soul/R&B group in the style of their contemporaries, The Chi-Lites. Their 1975 album received favorable critical notices but never connected with the music buying public. Why, I don’t understand. “I’ve Found Someone of My Own” is a remake of the 1971 hit by the Free Movement. But where the Free Movement’s version had a dinner club feel (smooth with flute accompaniment) Smoked Sugar’s take is a grittier, southern soul take – like a lost Al Green cut. It’s wonderful! The vinyl album is still pretty rare and commands prices from $16-50 on Discogs, though prices have come down since the record was released on CD in 2012. This entry was posted in song of the week, tom and tagged I've Found Someone of My Own, Smoked Sugar, song of the week. Bookmark the permalink.